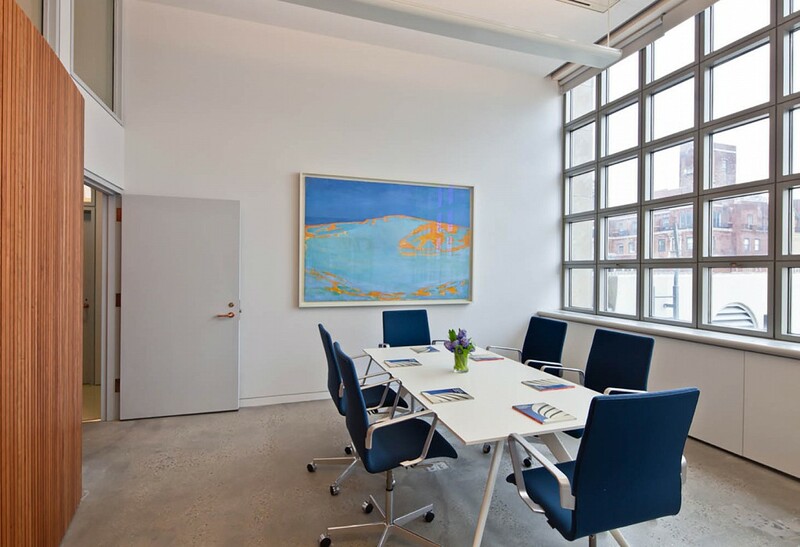 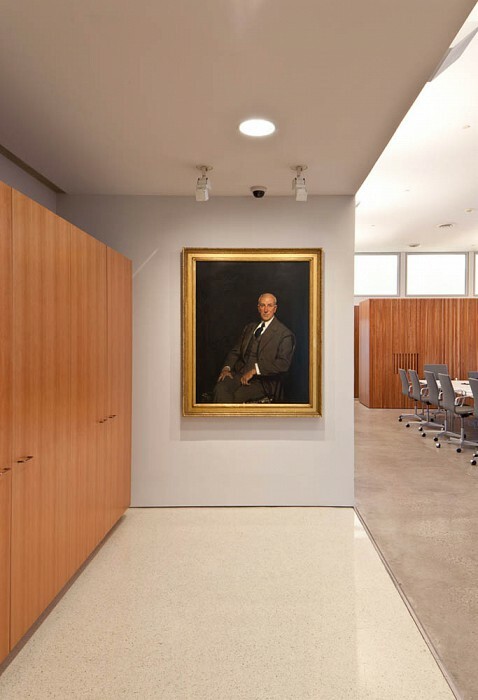 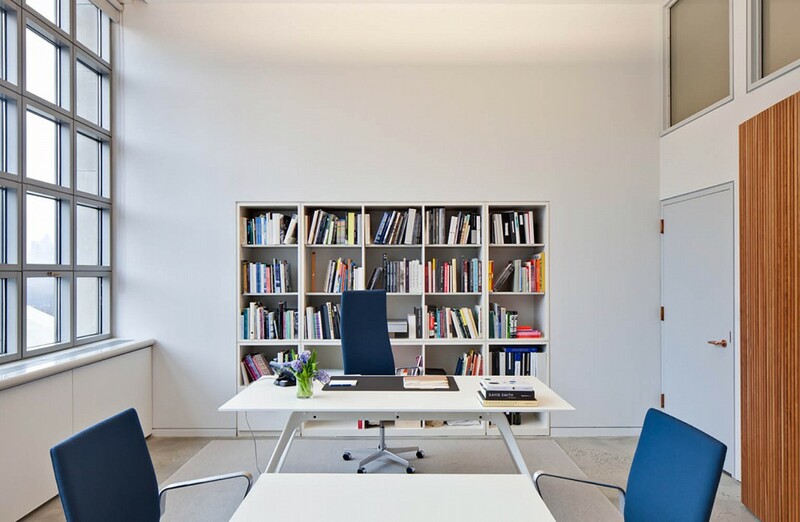 Richard Armstrong, director of the Solomon R. Guggenheim Foundation, asked Samuel Anderson Architects to transform the eighth floor of the Gwathmey Siegel addition to reflect the dynamic needs of the museum’s expansive ambitions: flexible space suitable not only for quarterly board and accession meetings, but for frequent changeovers when curators and exhibition staff converge to oversee gallery installations. 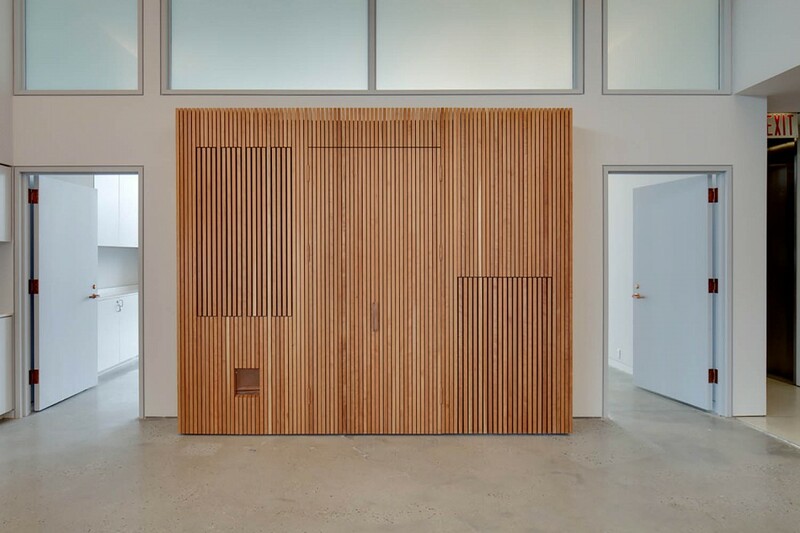 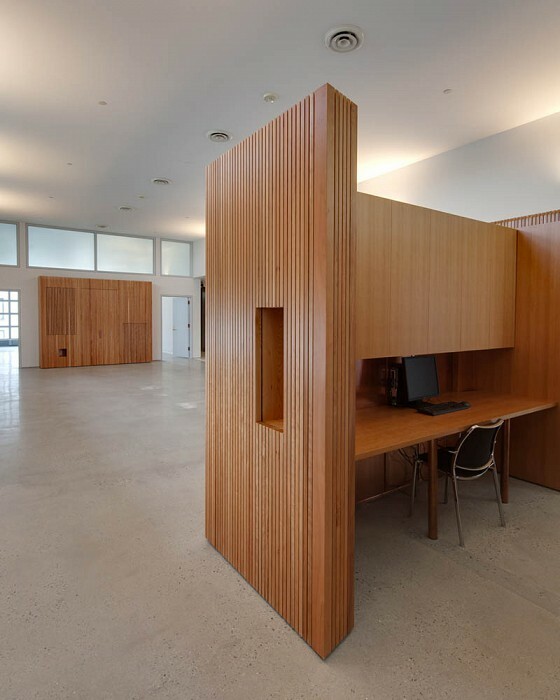 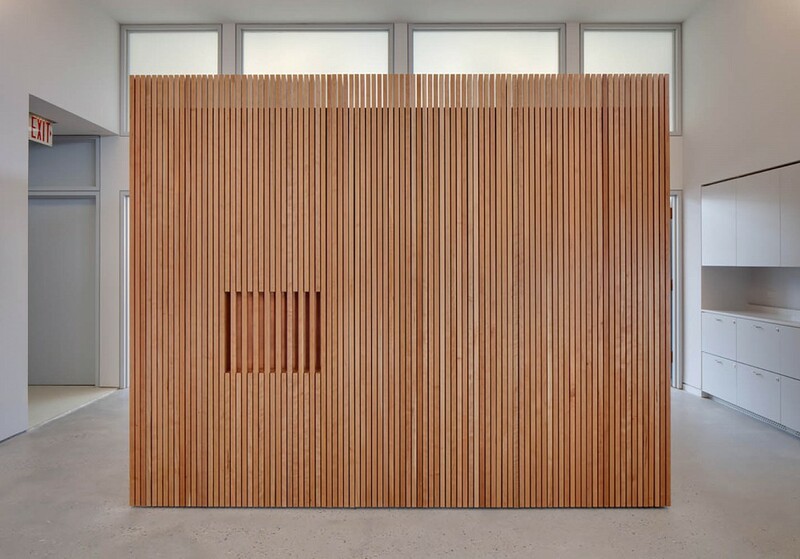 The long, pure rectangular loft is gently partitioned by two cabins composed of vertical cherry slats; the three resulting spaces (director’s office, flex-space, and board room) accommodate not only formal meetings and exhibition frenzies, but interviews, receptions, and other gatherings. 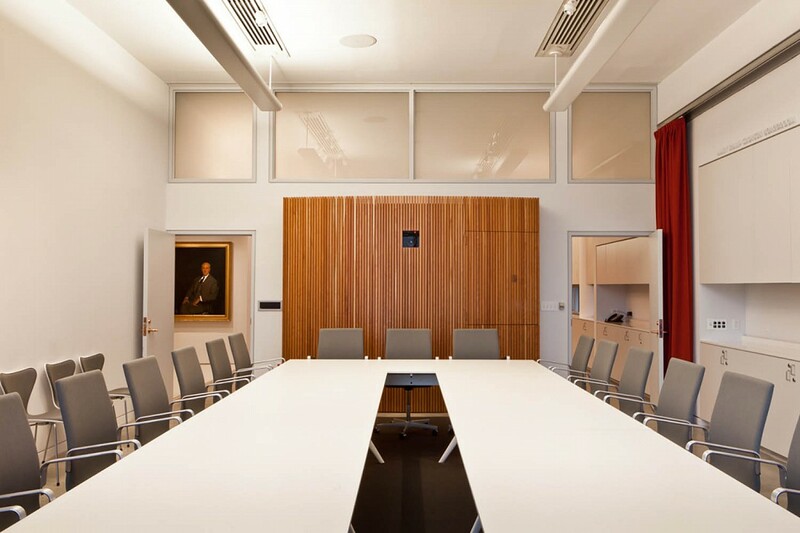 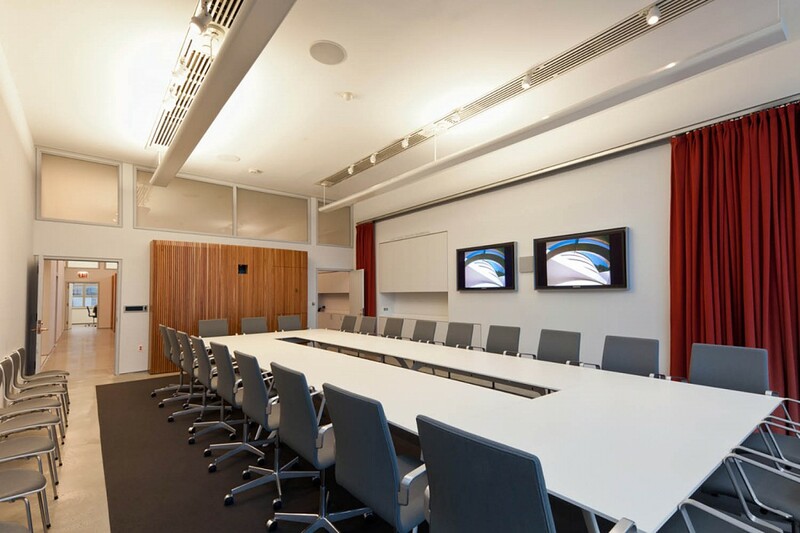 One cabin discreetly houses audio/visual equipment for the boardroom, while the other accommodates two administrative assistants. 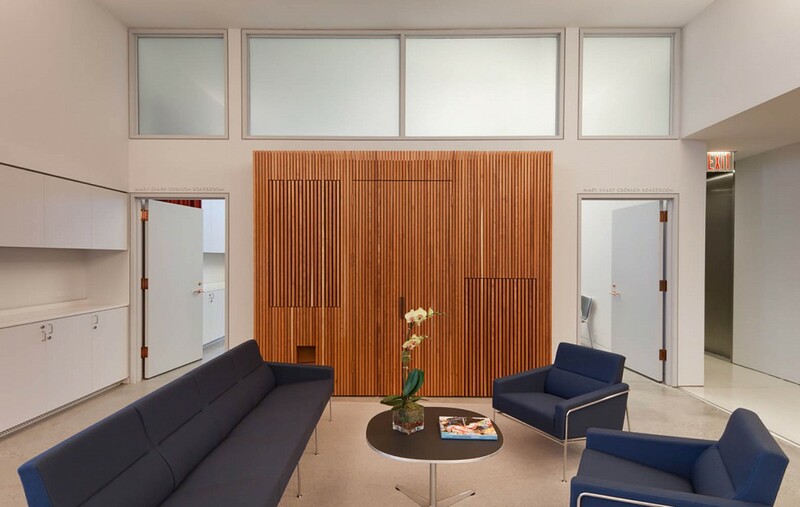 Circulation is fluid and easy when the doors are open, formal and concise when closed. 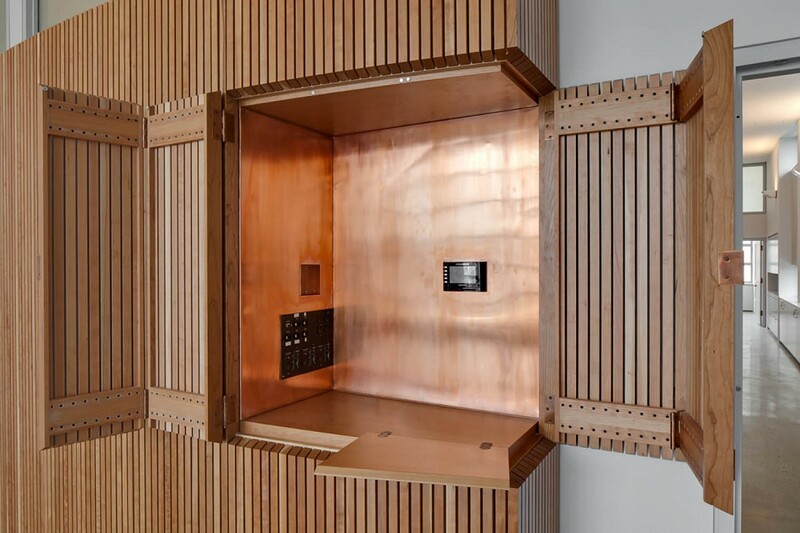 The polished concrete floors, lush red curtain, and copper hardware evoke a variety of Frank Lloyd Wright and Guggenheim precedents.